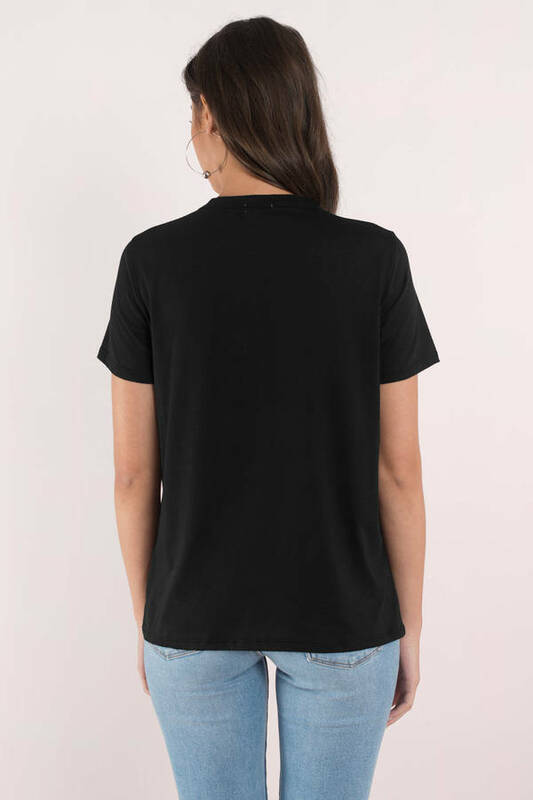 Check out Tobi's This Is What You Came For Lace Up Tee Basics made better: in a soft poly and rayon knit, the White This Is What You Came For Lace Up Tee is a cute take on the basic crew neck top. With a triangle cut out and lace up detail, this casual tee will update your denim for zero effort. Basics made better: in a soft poly and rayon knit, the Black This Is What You Came For Lace Up Tee is a cute take on the basic crew neck top. With a triangle cut out and lace up detail, this casual tee will update your denim for zero effort. Basics made better: in a soft poly and rayon knit, the Taupe This Is What You Came For Lace Up Tee is a cute take on the basic crew neck top. With a triangle cut out and lace up detail, this casual tee will update your denim for zero effort. Basics made better: in a soft poly and rayon knit, the White This Is What You Came For Lace Up Tee is a cute take on the basic crew neck top. With a triangle cut out and lace up detail, this casual tee will update your denim for zero effort.